Getting kids out the door in the morning with minimal fuss can be challenging, and making sure they’re in clothes that look good, and feel comfortable and are fun for them to wear just adds to the challenge. 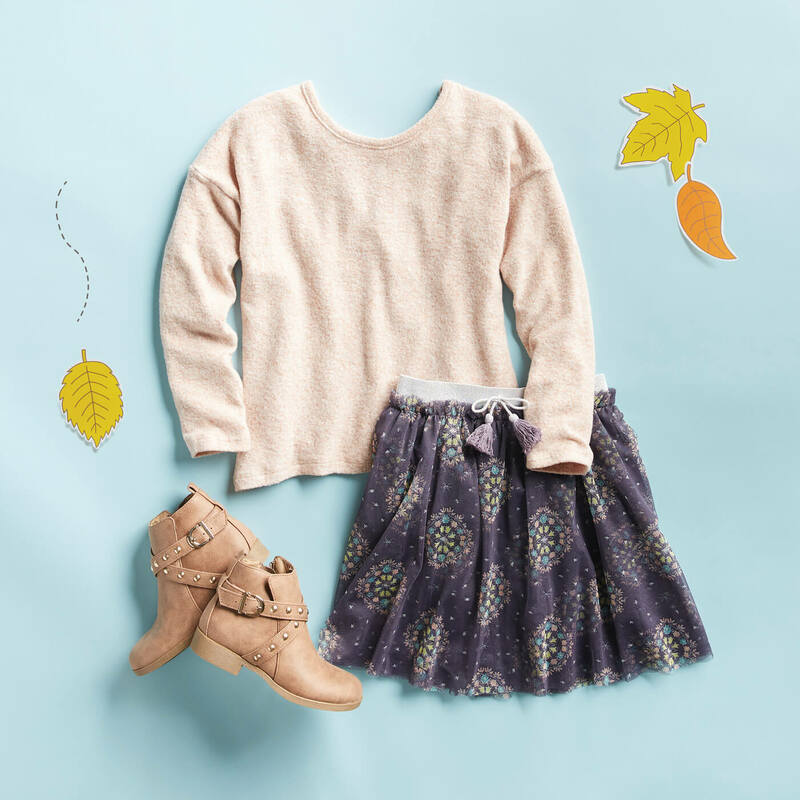 Luckily at Stitch Fix Kids, not only do we have loads of fun clothes for kids to wear, but we also have a school year’s worth of ideas for putting together great, easy-on outfits. 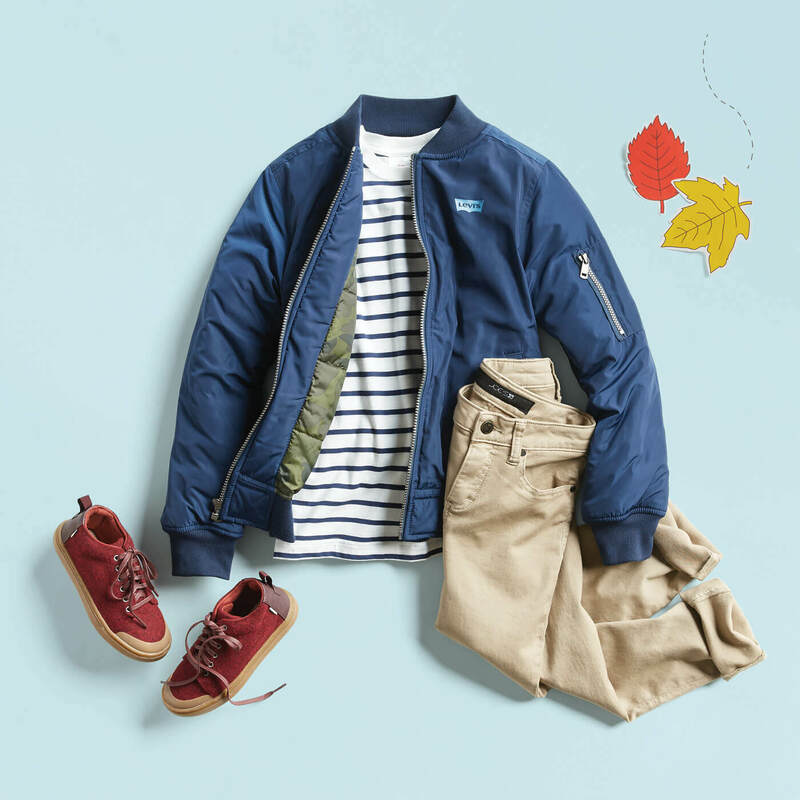 Keep scrolling to see the easiest fall outfits your kid can wear! Comfy pull-on pants in a versatile golden brown look great layered with stripes and camo. Add a pair of blue sneaks and this outfit works for school and weekends. The t-shirt can go it alone with denim indoors or in warmer weather. A warm puffer jacket is a must in the fall and winter, and one with this much cool styling is sure to be a fave no matter what it’s paired with. We love it with khaki-colored jeans and fun red lace-ups. Pair the jeans with a button-down for a looks that’s a bit dressier. 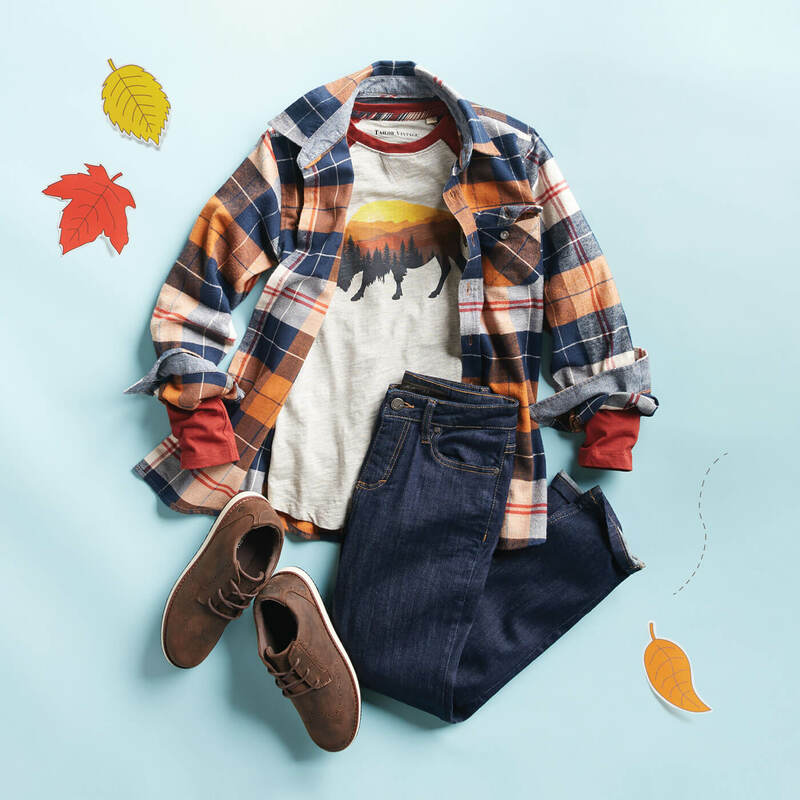 A classic flannel over a fun graphic tee is a look so timeless (and comfortable) we think your kid will look forward to the mornings he can wear them. Keep it casual by pairing the shirts with denim and earth-tone shoes. The plaid shirt works alone with khakis, too. Doll up her denim when you pair it with a brightly colored pullover top decorated with super-cute motifs. Boots with on-trend detailing make this outfit more than just a top and jeans. Speaking of jeans—a pair this cute can be a real wardrobe staple all season long. 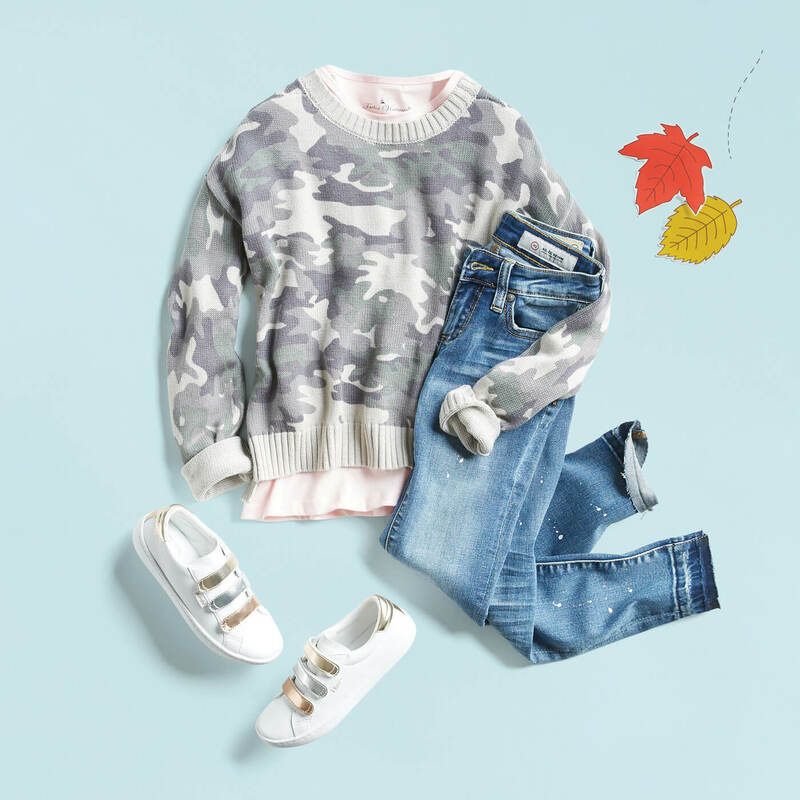 Camo print is having a moment—and the look is super sweet when layered over pale pink and paired with soft-wash jeans. Bright white sneakers with cool metallic fasteners complete the look, and are delicate enough to also work with skirts. Sometimes a girl just wants to wear a skirt, and this one really delivers in the fun and flirty department. The delicately printed pleats contrast nicely with a solid pullover and boots in a slightly darker tone. Add a pair of tights in colder weather and this is an outfit that can go for 3 seasons. 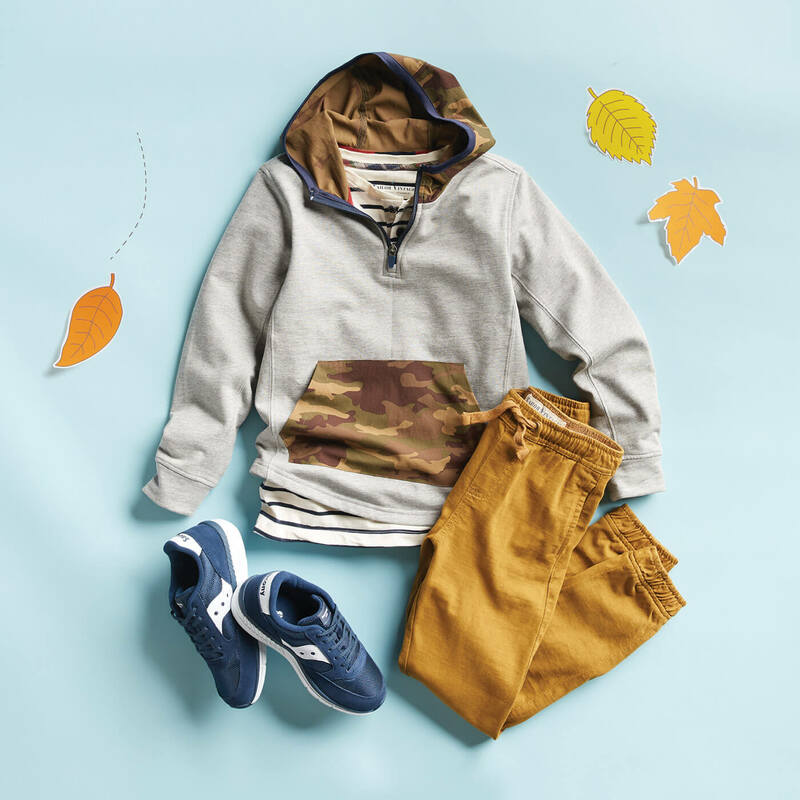 Is your child ready for an easy fall outfit? Schedule them a Fix!